Who: Hatcham Social from London. 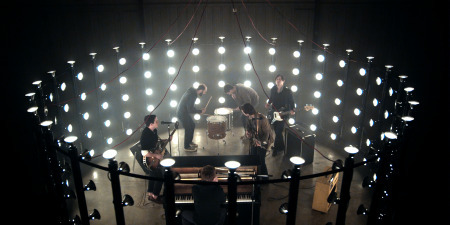 comprised of Toby Kidd (vocals / guitar), Finn Kidd (drums), Dave Fineberg (bass / vocals) and Jerome Watson (synth / guitar). 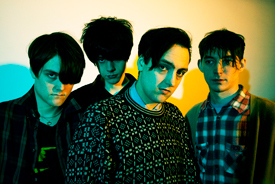 Theyve recently signed to Radioheads label (TBD records) with their debut album You Dig the Tunnel, Ill Hide the Soil, which was recorded at mushroom studios in the north of England with the Charlatans singer Tim Burgess. Having already toured the UK with the Charlatans and Ipso Facto, the band are gearing up to do dates in the US with Echo & the Bunnymen. Check out the poppy song below, designed to take you back to a time of musical innocence. Song: Crocodile. The video is on IMF.tv.